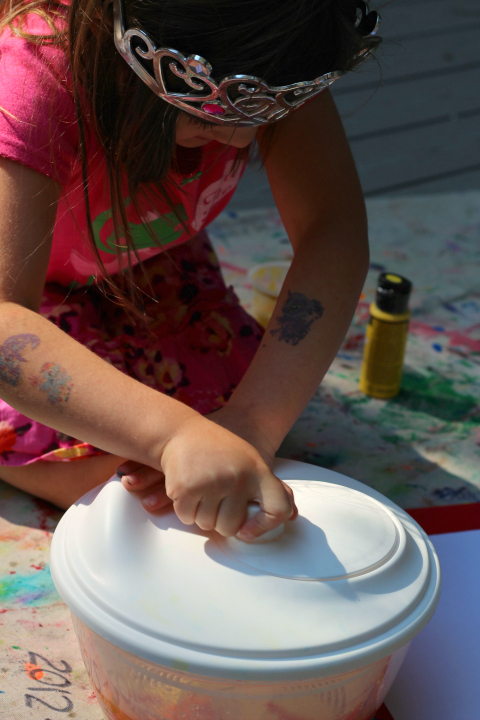 We eat a lot of salad at our house but the only thing our $5 salad spinner is used for is art. 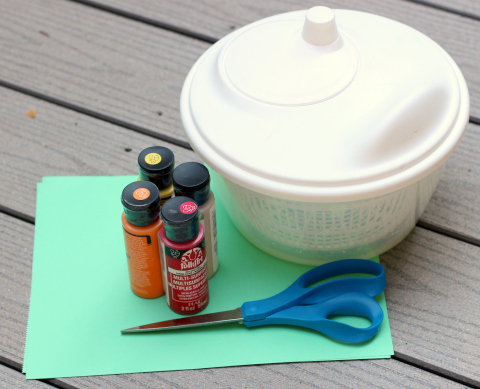 These fall art project is super simple to make. As a treat we made ours with acrylic paint known as ” Mama’s adult paint” at our house. 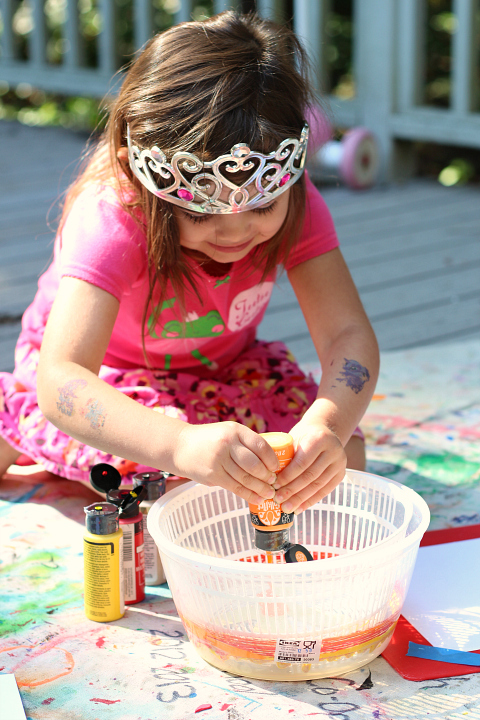 It worked well but in my experience the best paint for spin painting is Liquid Tempera Paint like these ( affiliate link) the consistency is just right for spinning. 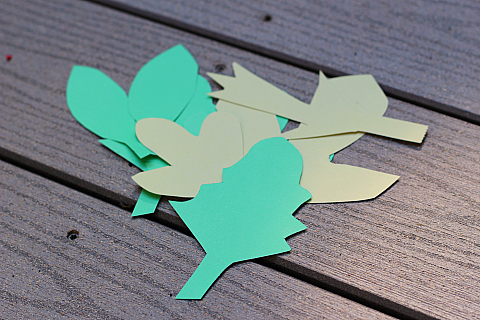 I cut the leaves out free hand ( like you can’t tell…) but you can use real leaves as templates or cookie cutters. Art like this is so dynamic and fun and it focuses heavily on the process but still had an end product. Gather your materials. 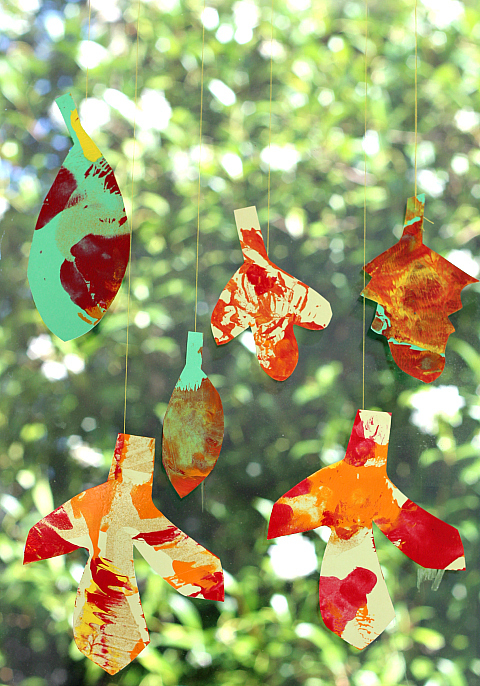 You will need some card stock, scissors, paint, a salad spinner, some string and tape to hang them once they are dry. 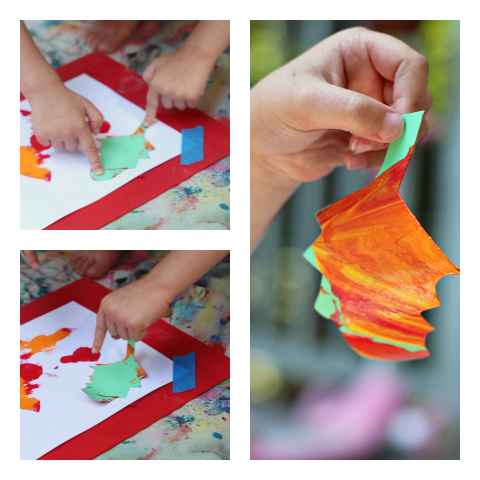 We used some gold glitter paint as well and this MADE the leaves. So cool. Cut out your leaves. Don’t laugh I know mine are terrible but the little artists loved them and that is all that matters! 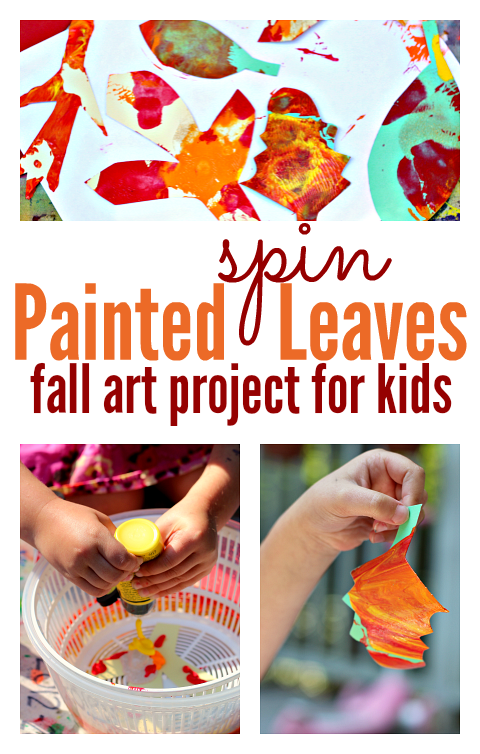 Pop a card stock leaf into the spinner and choose some paint. Add the paint in and spin! 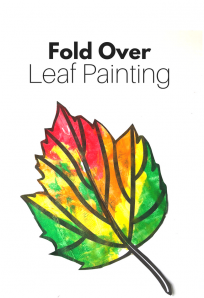 Our paint was a little thicker so we printed the leaves on some extra paper, then left them in the sun to dry. Once dry I added thread to the back and hung them in the window. 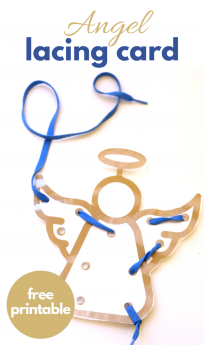 All of my kids (they are 8, 6, 4 and 2) liked this craft. 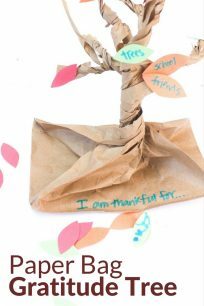 We used leaves we collected while at the park and those little jars of Crayola paint. 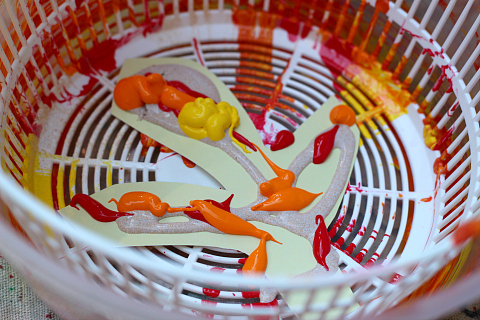 Then I let the 2 & 4 year-olds paint on paper using what was left in the spinner bowl. They had a blast!